That will be a big help. Hopefully things are starting to slow down at work so I can get on with it. 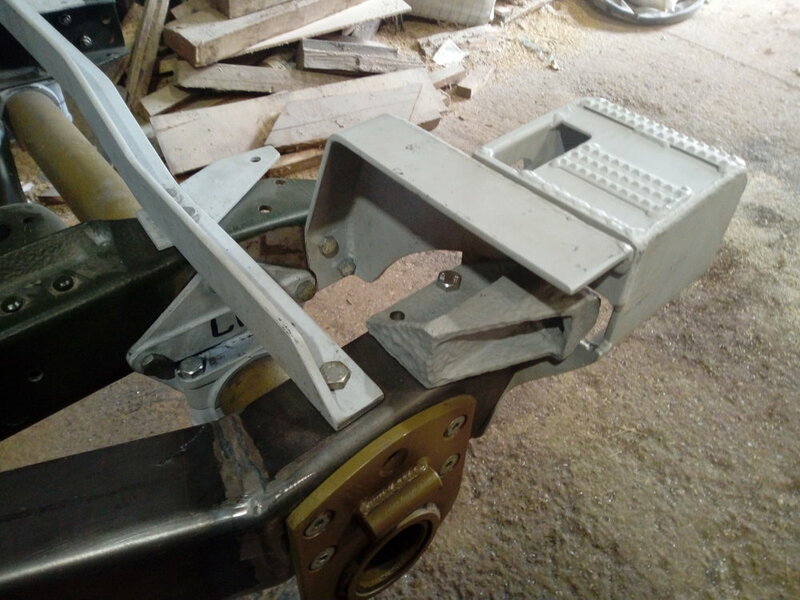 I finish welding the second tiller mounting bracket this morning. 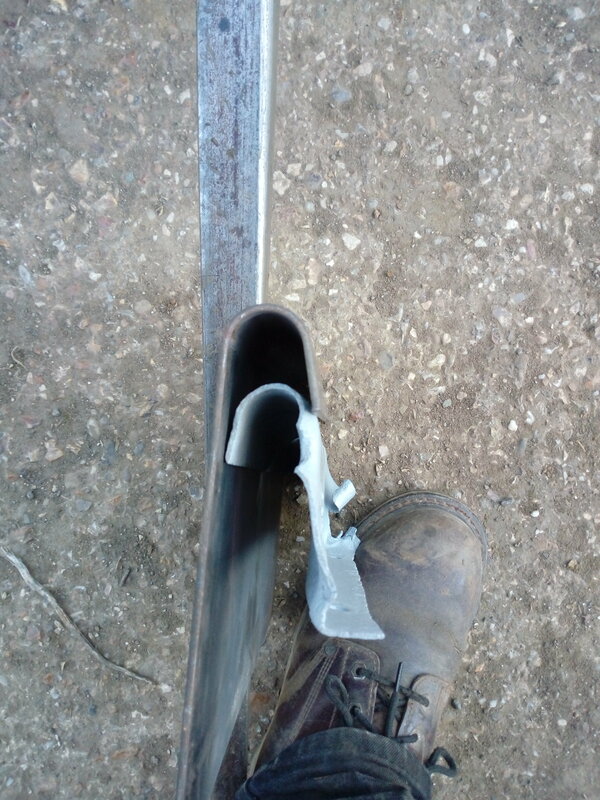 Then I repaired the tiller leaver bottom and built up the other one with weld. 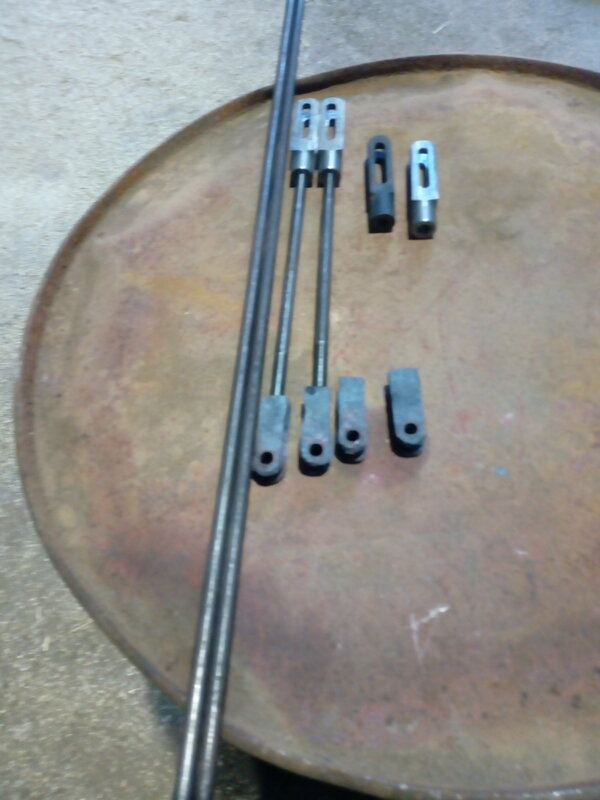 Next I cut slots in the tiller tubes and welded the tiller tubes to the bottoms. 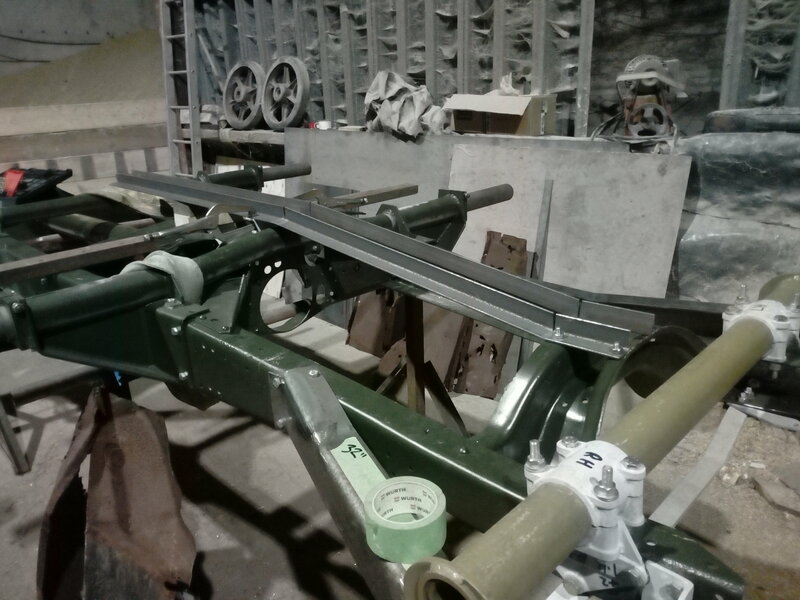 The tillers now just need new washers and castle nuts to finish. I have been able to save 4 clevises but will need to have 3 of the slotted clevises made. 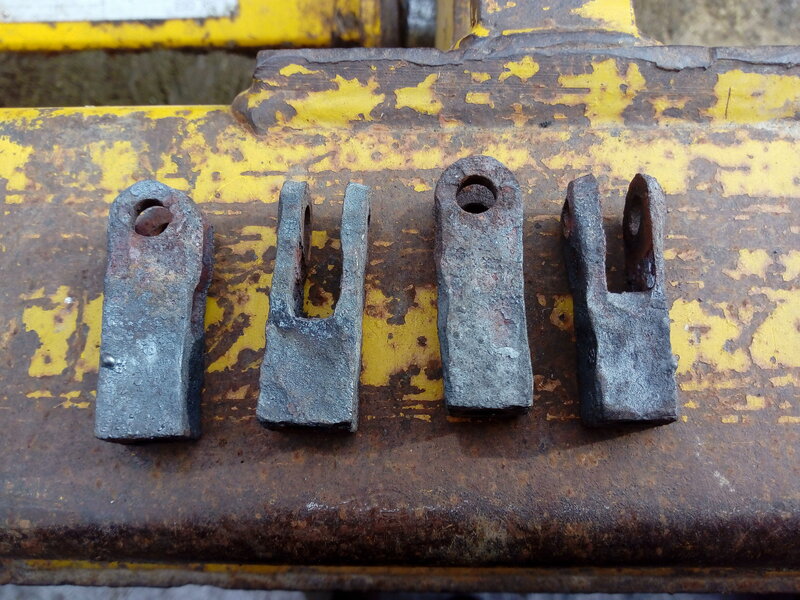 I dropped the one good slotted clevis off at the engineer's on Friday to get them made along with 4 new control rods. 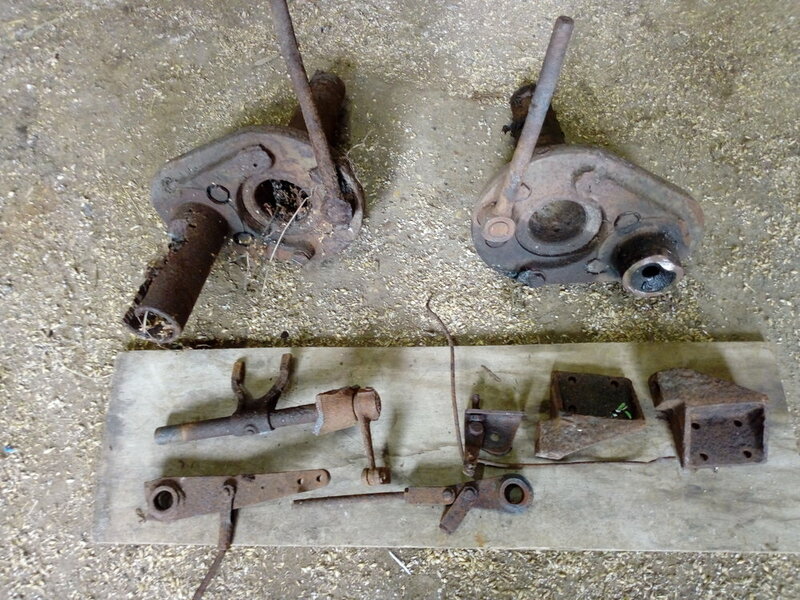 Alastair has got me 4 clevises from the US for the brake cable ends so there will just be the cables to have remade and the handbrake leaver from Andrew to finish the brake/steering controls. 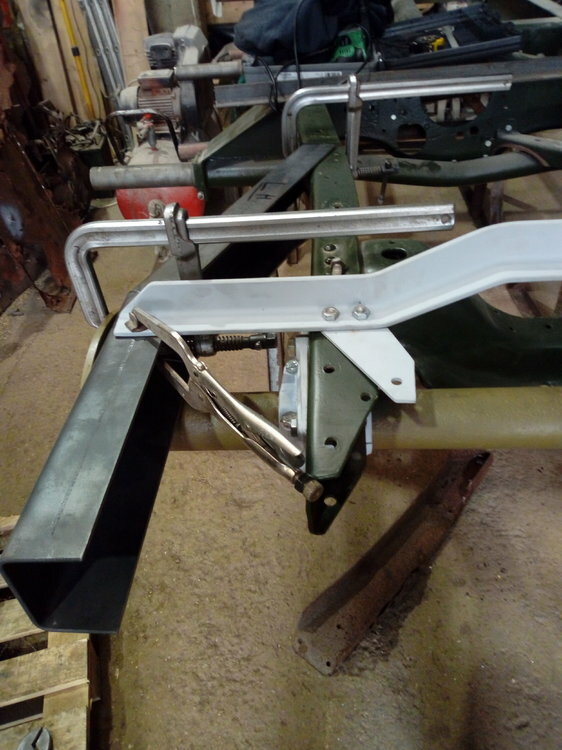 Next I will look at the clutch and throttle peddles and the "cage" that goes over the prop shaft and handbrake, I have already made some of these before and still have the jig. 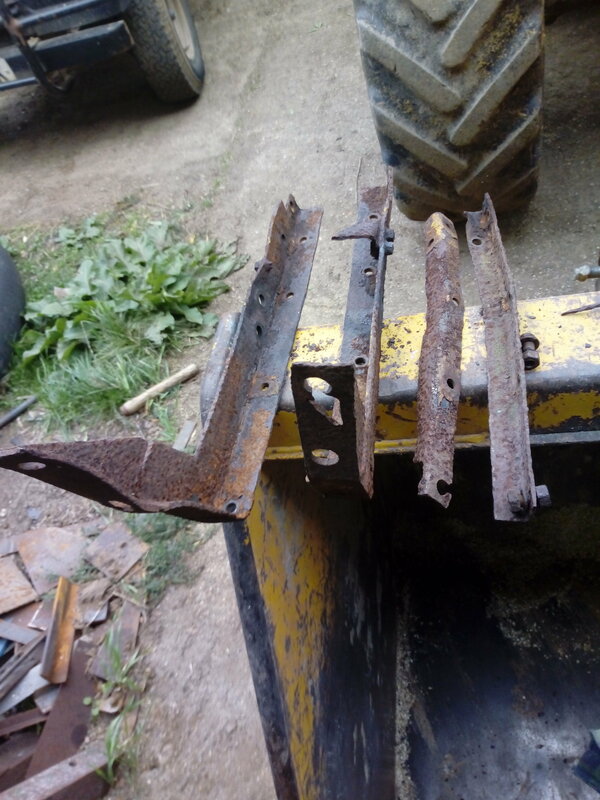 Having put the early and later type of tillers side by side you can see how the early type got bent or broken. Also most all picture of surviving early Loyd's I have seen have later type tillers or early one's which have been strengthened. I will keep them as is for now as I am interested to see how they work or don't. I will keep the pair of later type tillers. I think they can be changed over in an hour. Thanks for the advice Peter. 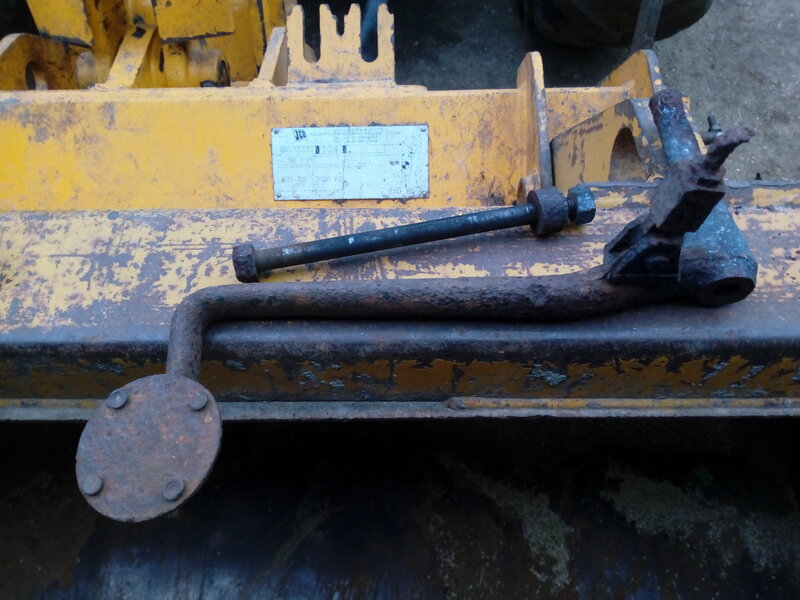 The parts book list a hand throttle for the starter charger which would be for running the PTO. Has anyone got any pictures or info on this? Alastair pop over this morning and dropped off some more parts and picked up a seal for his Loyd. There is a broken brake bar with the boss. The clutch and throttle linkage pivot. The clutch released lever for the bell housing. 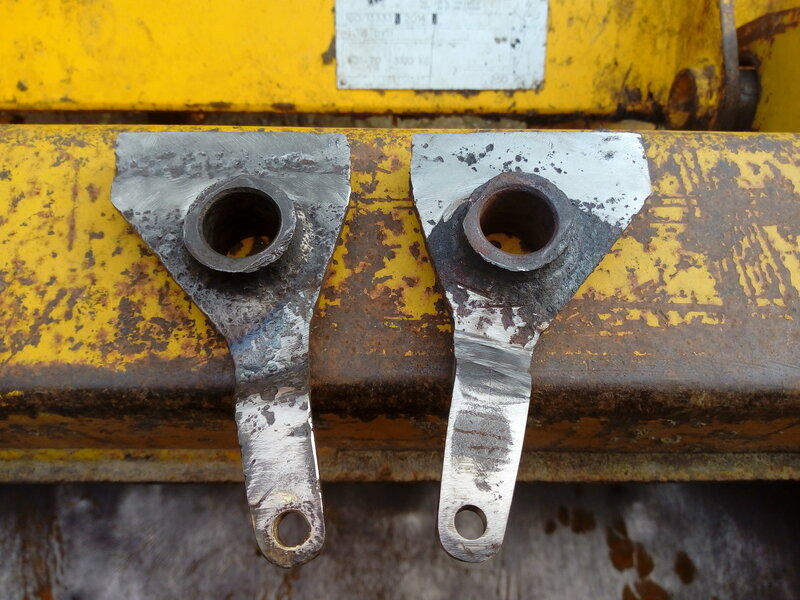 There is a pair of stub axles with the adjusters on and the castings they adjust against. 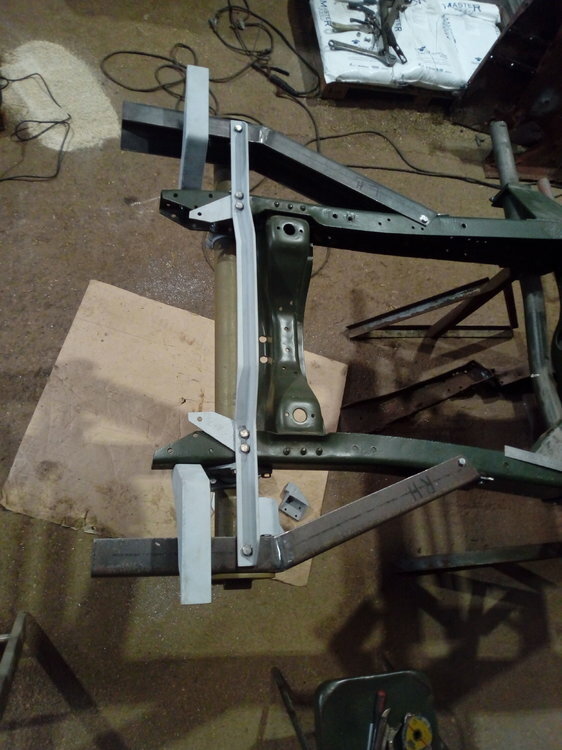 I got the boss cut out and welded in the new brake bar and started making the brackets for the return springs. We think these are a part only used on the starter chargers. 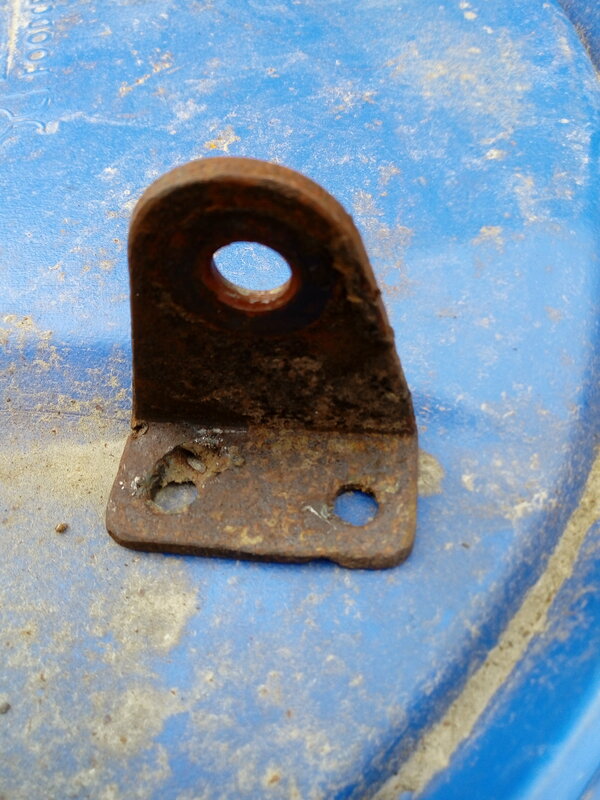 I also repaired one of the brackets that mount the brake bars which had been court with a cutting torch. Forgot pictures of finished parts. 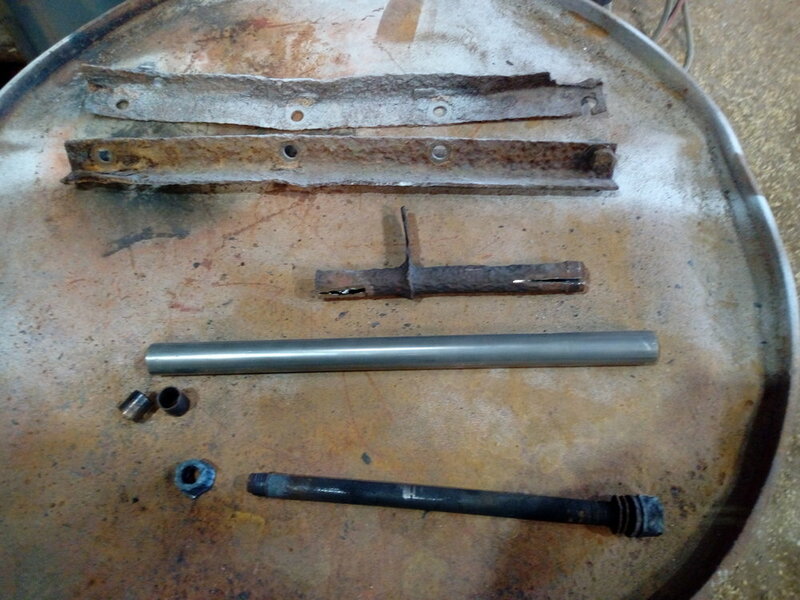 I started today by removing the track adjuster rods from the stub axles. I heated them up and got them moving first. 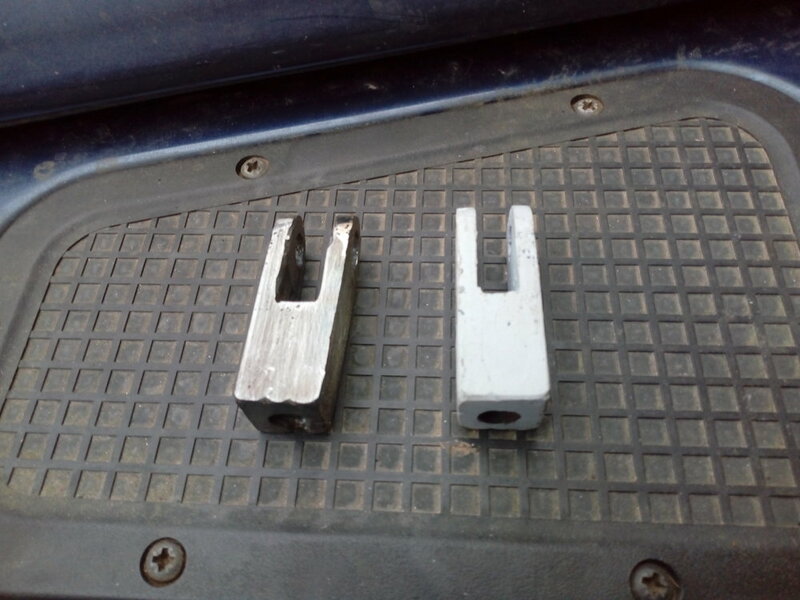 They are held on by special studs that lock into and run in a grove on a pin on the stub axle. The head's of these studs had long since gone so I drilled them out. I will have some new studs made and weld a new thread on in place of the damaged thread. I then finished the brackets for the return springs that fit to the brake bars, these are a start charger part and not fitted to other types of Loyd's. Next was to remove and strip down the clutch and throttle peddles. I decided to try to free them off while still attached to the floor plate. The clutch was first, lots of heat on the tube and it moved very easily so I removed the nut and the long bolt slid out without to much trouble. 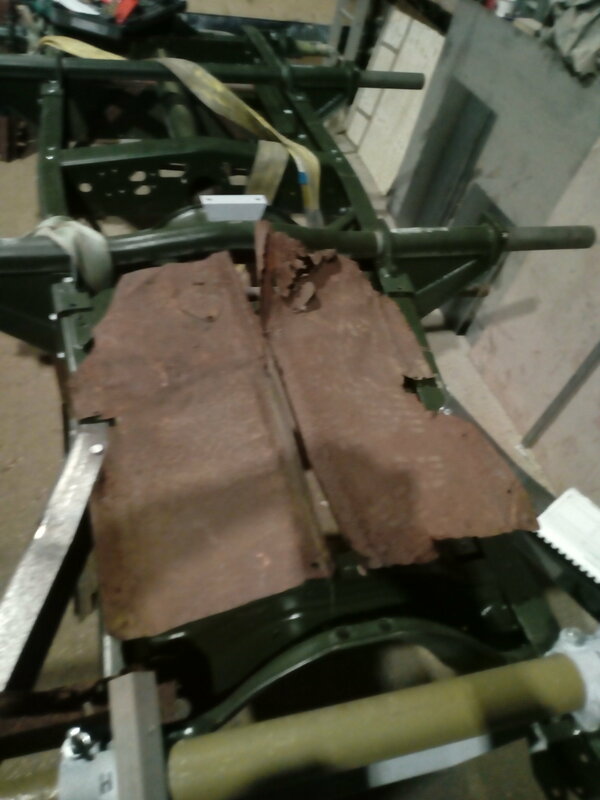 Then the throttle, this is lighter construction and badly corroded, I heated it up and taped the peddle which just bent. 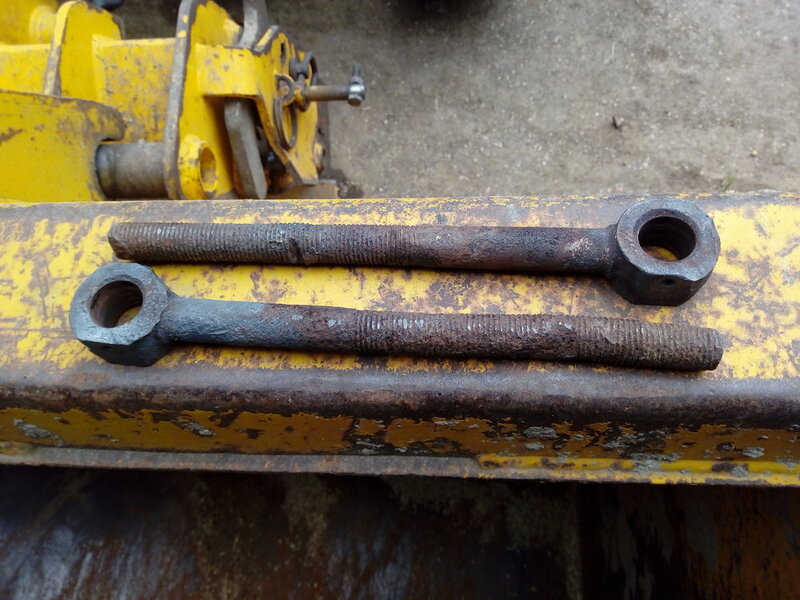 I then got a pair of mole grips on the tube and soon had it moving, I removed the nut and got the long bolt out, this put up a bit of a fight. 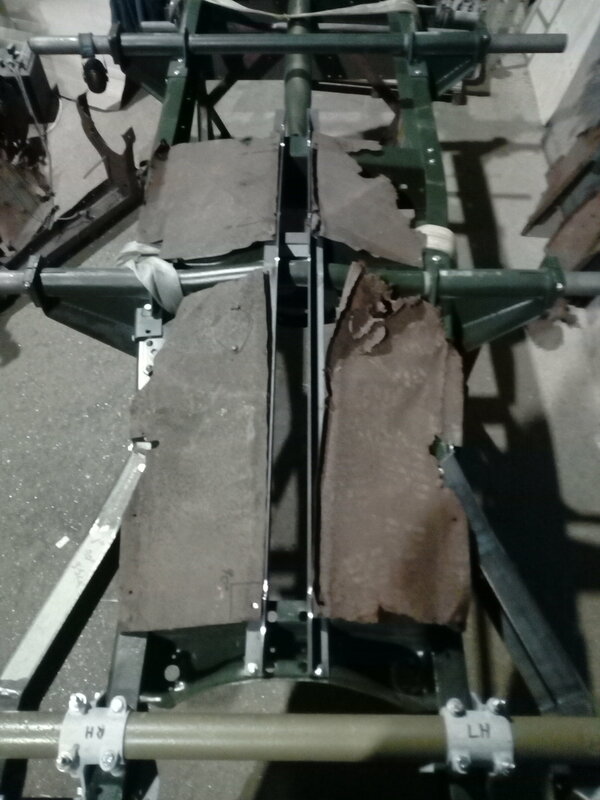 The throttle peddle will have to be mostly replaced due to corrosion. I then cut the 2 floor stiffening bars off the floor, these will have to be remade. 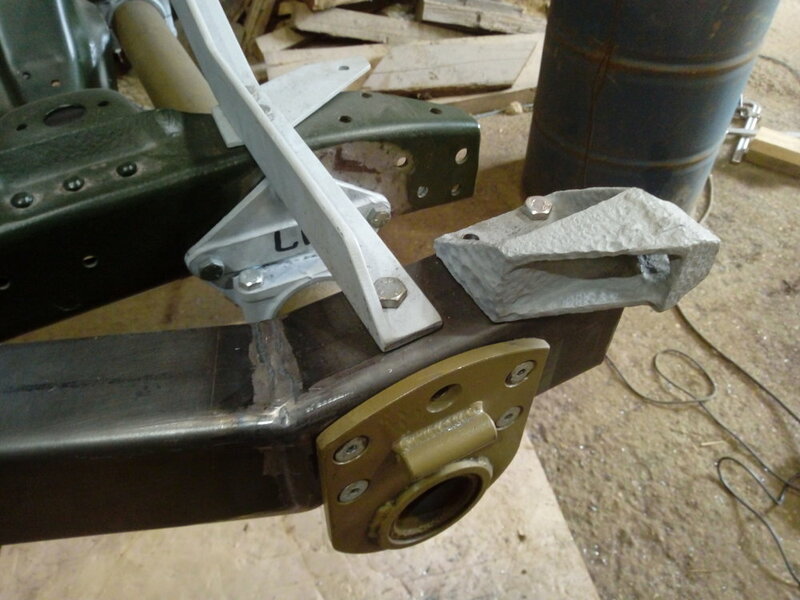 Followed by cutting off the 2 angle irons that mount the peddles which I hope to re-use. I got a few hours in tonight but I was jumping between jobs as there was a lot of heating and waiting for things to cool down. 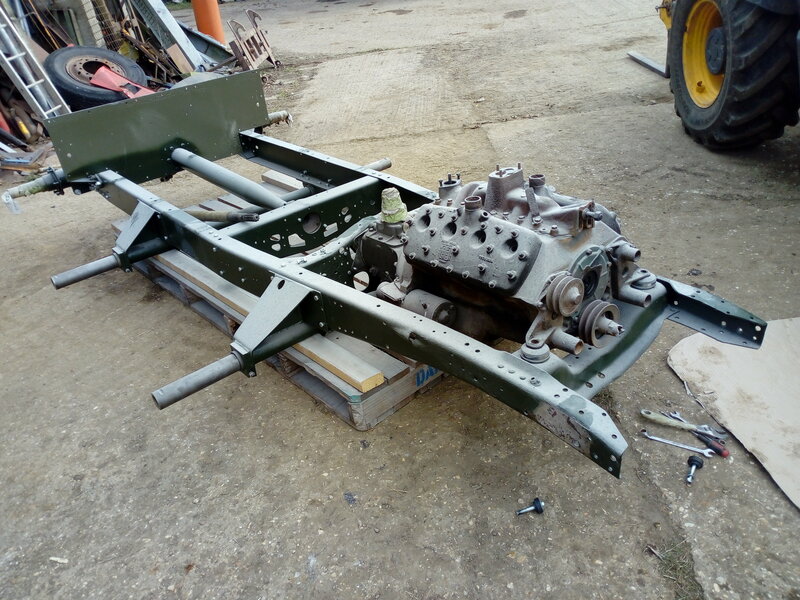 First job was to start making the cage that sits over the torque tube, handbrake and tiller rods. I have made these before and have a jig to bend 2 of the bars, I had sorted some metal out on Sunday for this job. 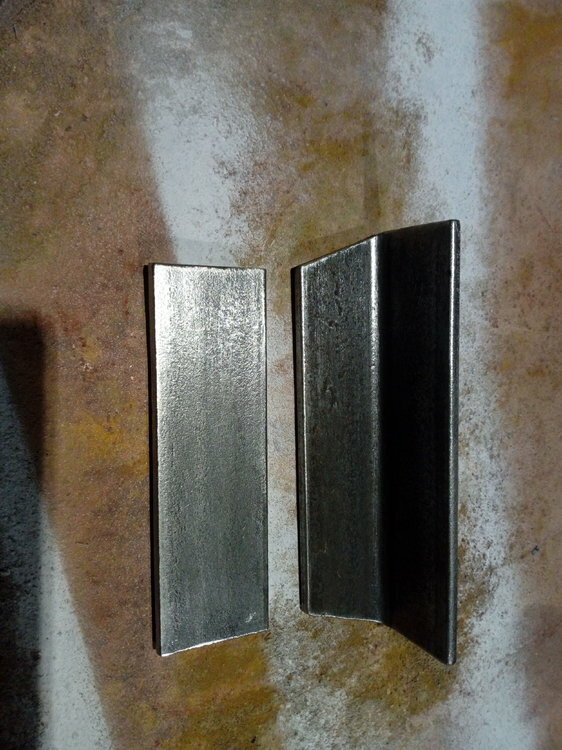 The first bar was rolled through my poor sheet metal roller that is not supposed to roll 6mm bar the second bar is just a straight bar and these were both cut down to size and drilled. 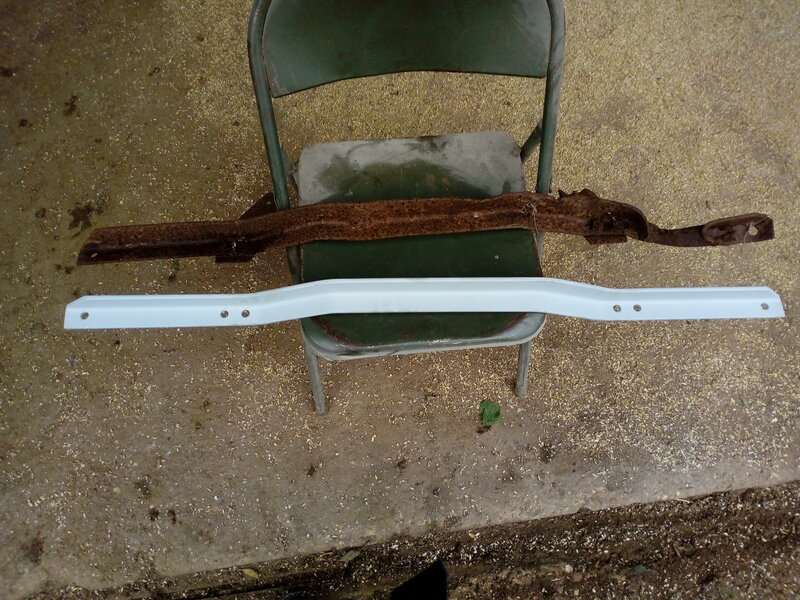 The last 2 bars were bent in the jig with heat. I was jumping between jobs as thing's cooled down. 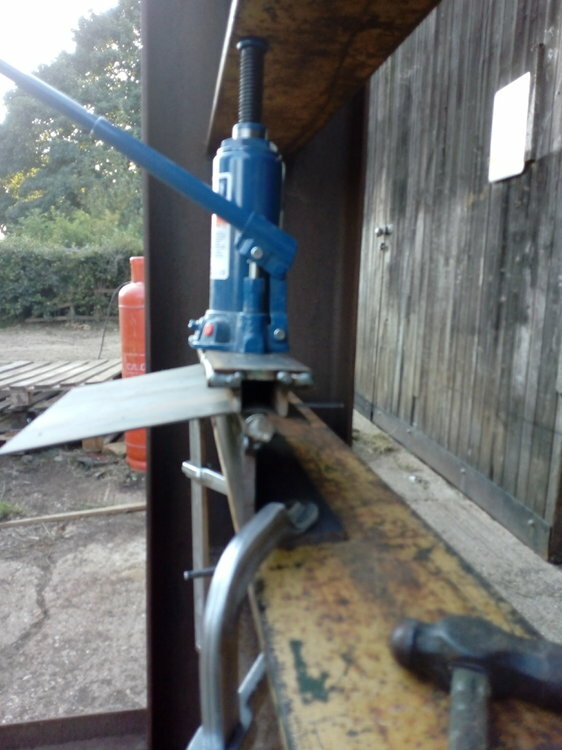 Next job was to cut one of the angle irons that run down the sides of the torque tube off the floor. This is only good as a pattern and the second one wasn't worth cutting off. I then found 2 off cuts of angle iron to use to make a new pair. Last job was to finish stripping the clutch pedal, this was just a case of a lot of heat! Firstly a big thanks to Adrian who came up with a line drawing of the hand throttle. It would appear that it is a short cable with a push pull knob like a choke from the carb to the front of the engine cover and operated from the rear of the Loyd. This means the throttle peddle and linkages are standard Loyd and I can start rebuilding them. I popped over to Alastair's tonight and took loads of measurements and pictures also got some more small parts and raided his scrap pile for pattern parts. Pictures to follow. 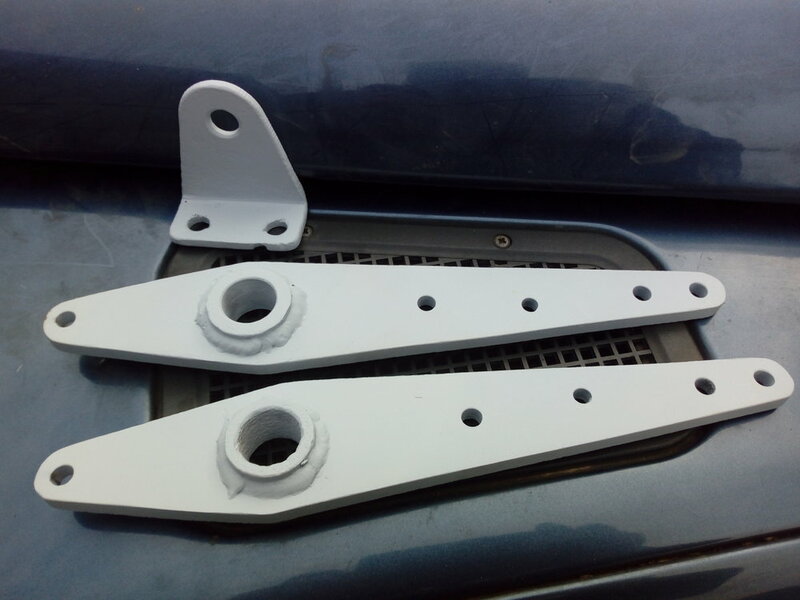 I have cut to size and drilled the last 2 parts of the cage, this just need nuts and bolts to finish. 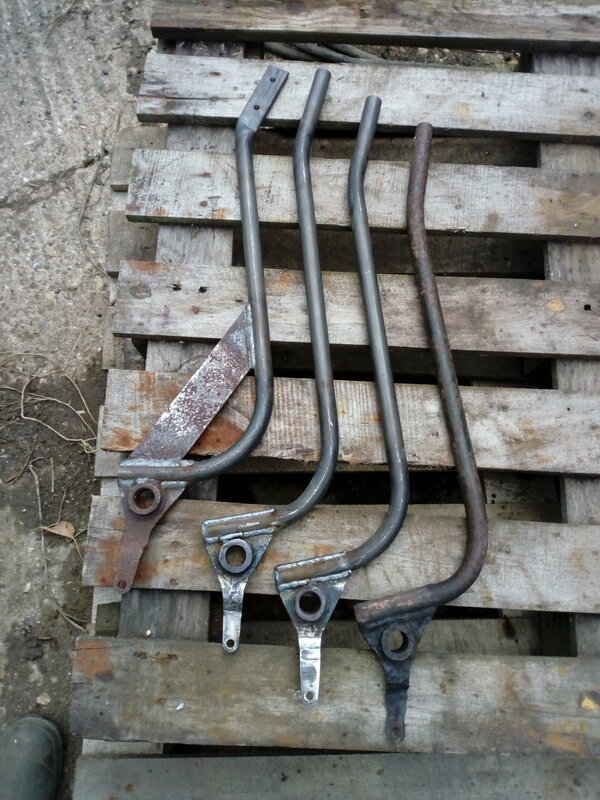 I collected 3 new made slotted clevises and the 4 brake rods from the engineer's to day a drop off a couple more jobs to be done. 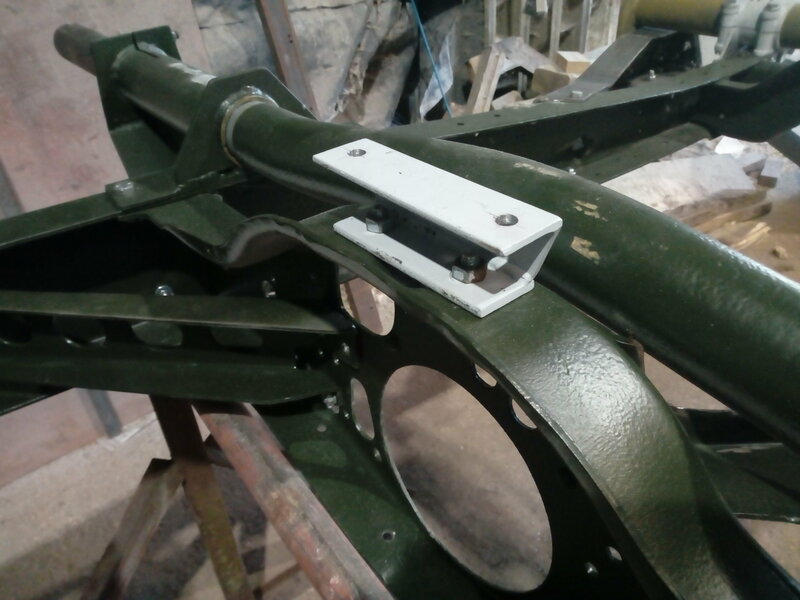 I have cut the 2 pieces of a spacer that bolts to the under side of one of the cross members that holds the angle irons that the belly plates fix to. 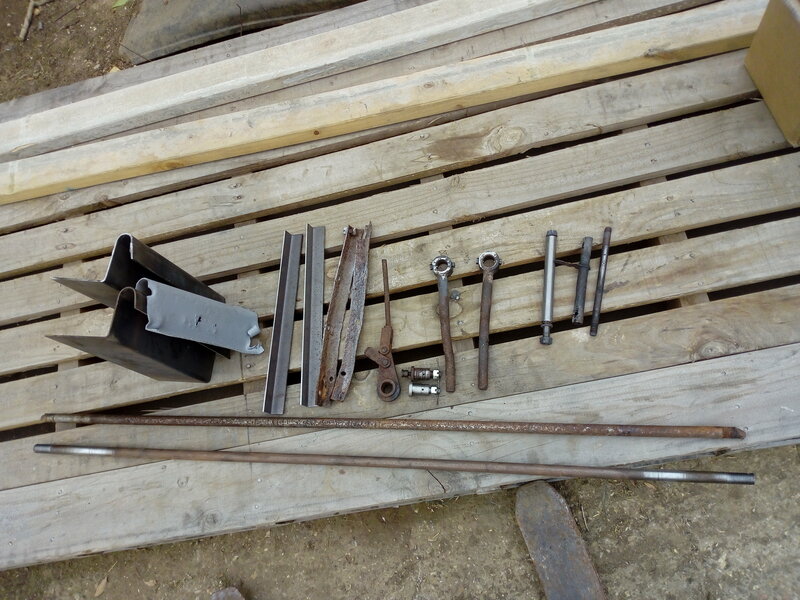 I will jig it up and weld it tomorrow. I have also started cleaning and priming some of the new parts. 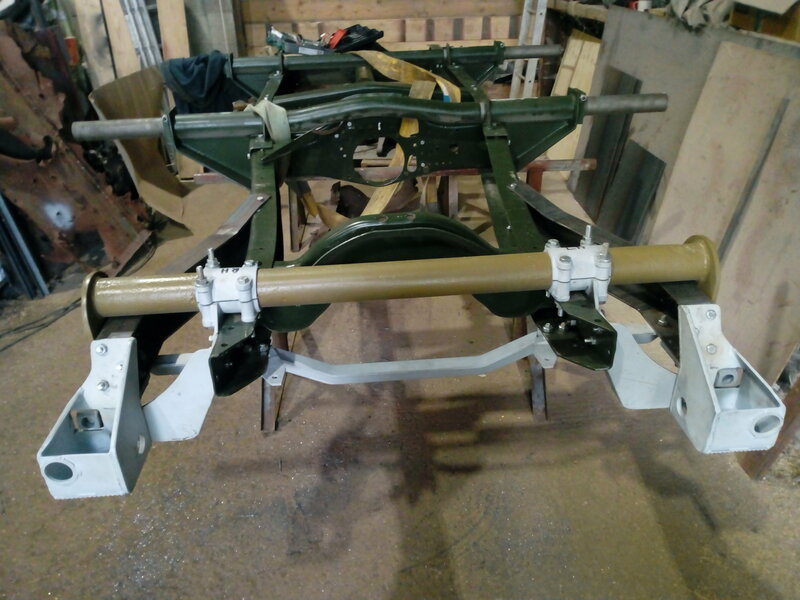 I have ordered a piece of tube to start making a new throttle peddle and a length of threaded rod to repair the 2 track adjusters. Also a picture of some more small parts collected from Alastair the other night. 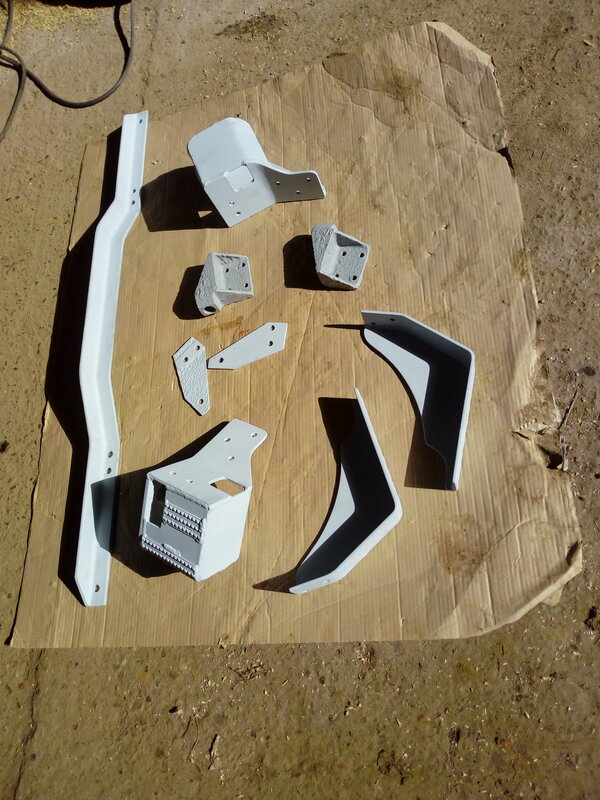 I have spent most of the day cleaning and priming new made parts. 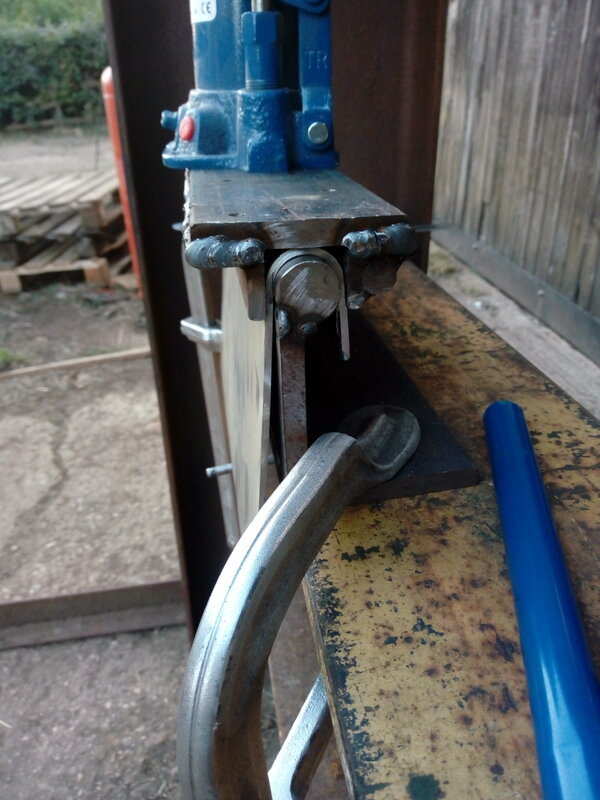 I welded the spacer piece together and straighten a gusset for the angle that runs below the radiator and make a new one. 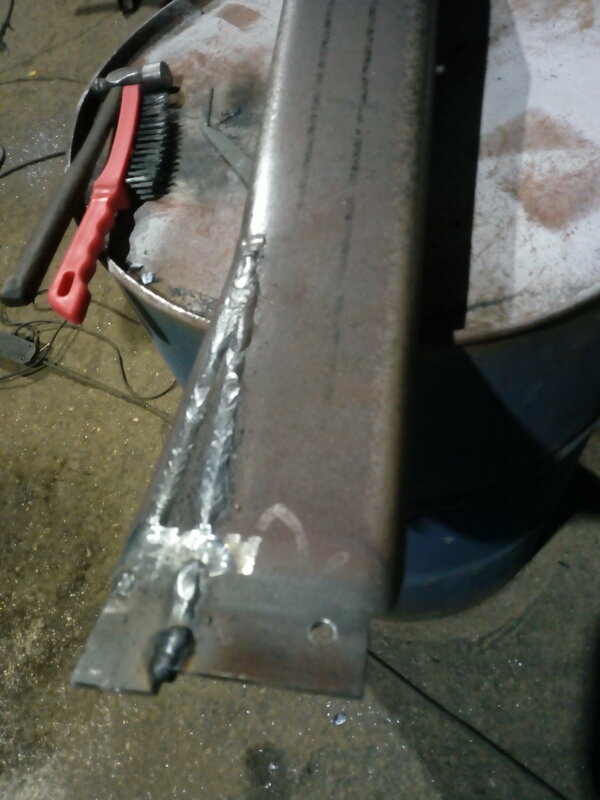 I also built up 2 of the clevises with weld and ground them to shape. Not very exciting but all has to be done! I have continued to clean and prime new parts, have lost some enthusiasm. 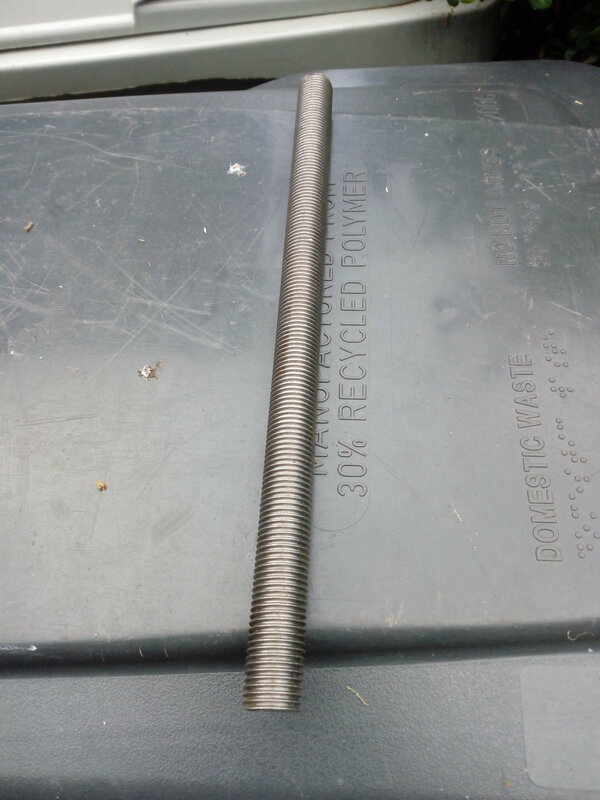 The new threaded rod to repair the track adjusters and the tube to make the throttle peddle turned up. 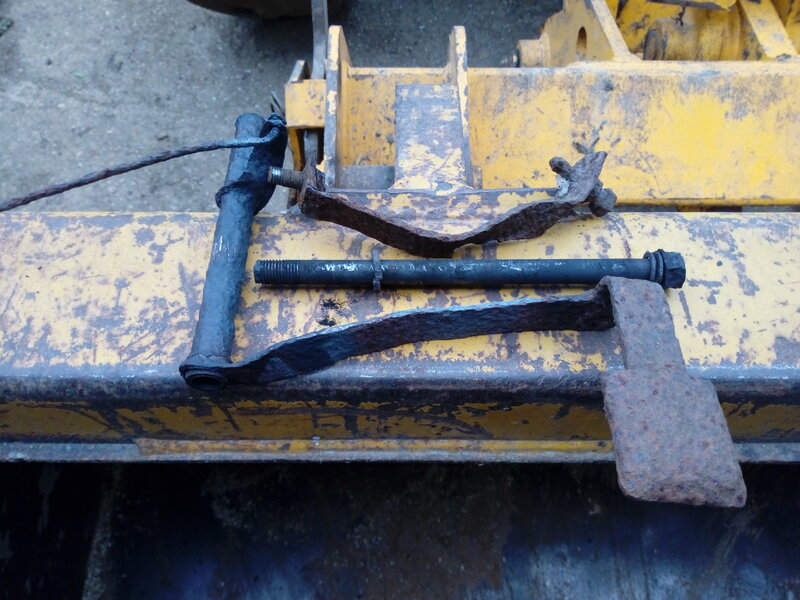 I also ground the bushes out of the old throttle peddle tube to re-use. 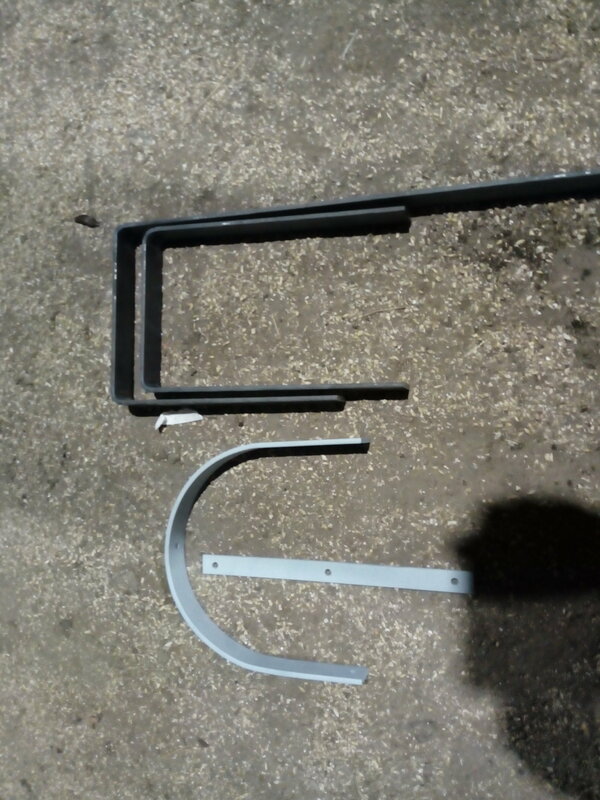 I have dropped these and the 2 floor bars off at the engineer's to get the bushes fitted in the new tube and 2 new bars folded. 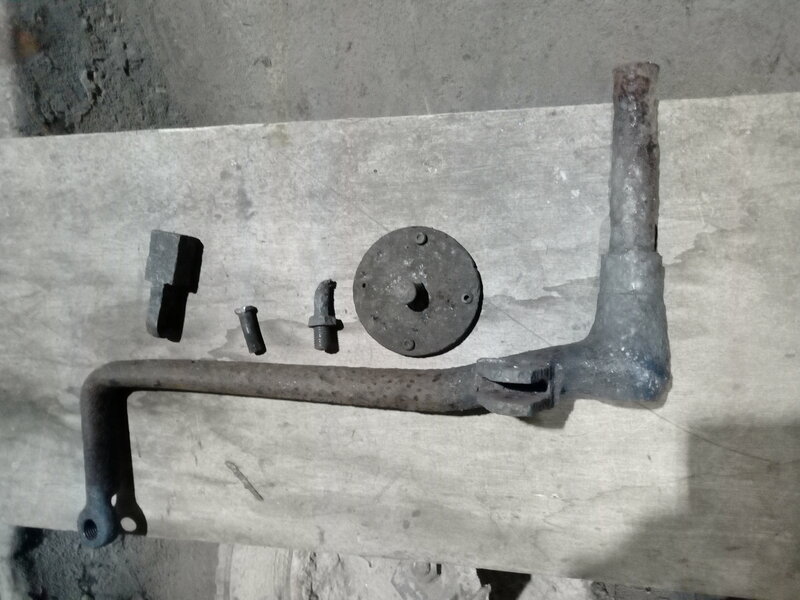 Some of the very rusty parts have been soaking in molasses for 2 weeks now so I pulled a few bits out tonight and scrubbed them under the tap with a wire brush. 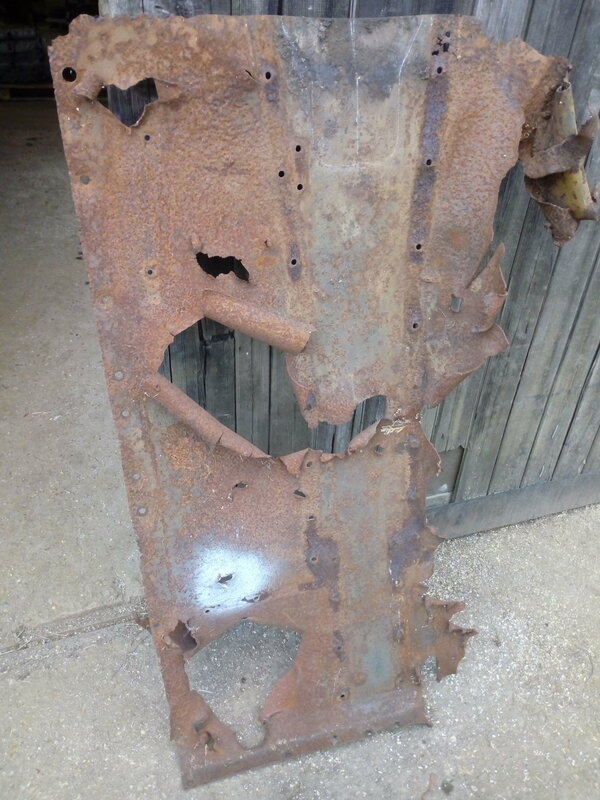 Almost all the rust has been removed. 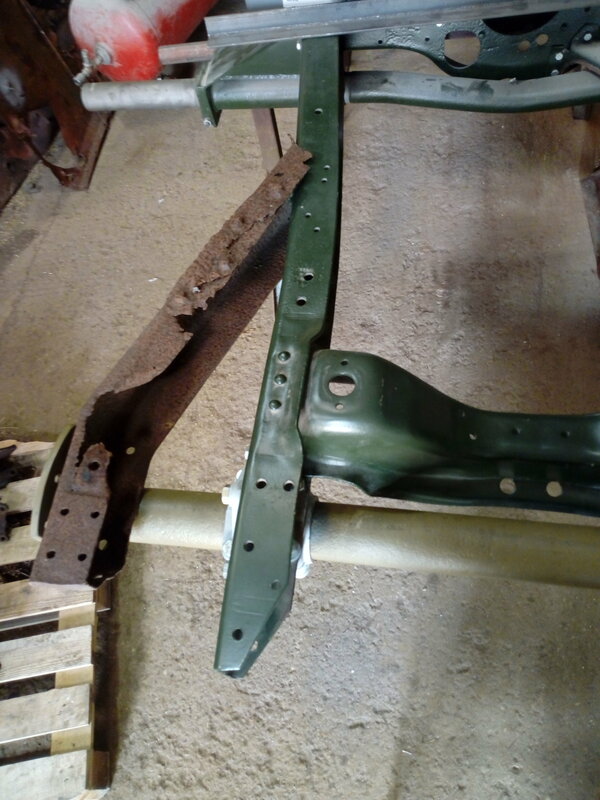 I then ran them over the wire wheel and primed them. Hope to get back to making some more bits this weekend for a change from cleaning parts. Sometimes it's like that, highs and lows. Thanks for the encouragement! Had a good day today. 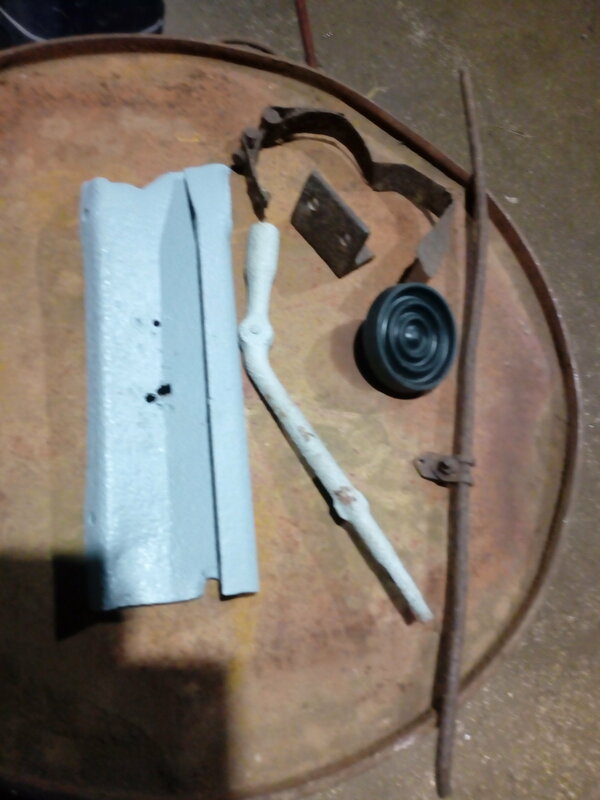 Finished cleaning and priming the parts that had been in the molasses. The pile of parts in primer is getting bigger and the parts to do is getting smaller. 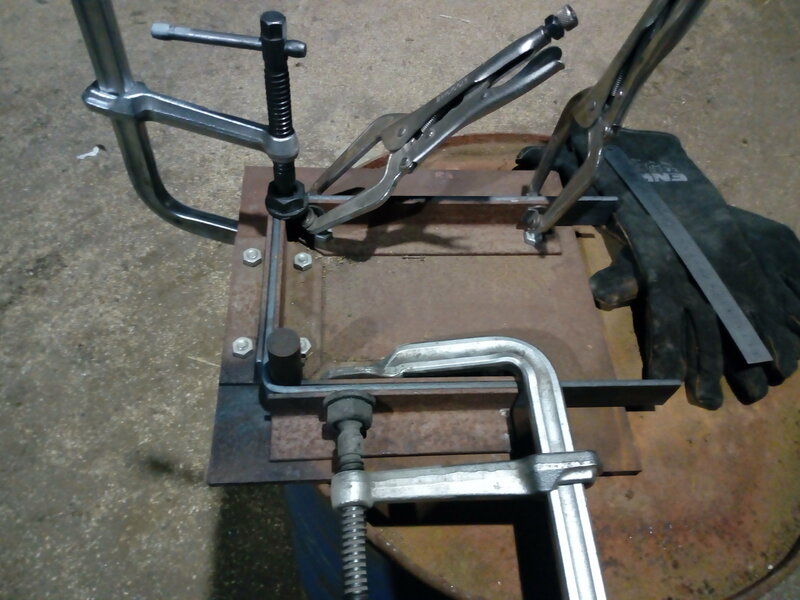 This afternoon I made some tooling to press the curve on 2 plates to make the brake cable guards that bolt to the drivers floor. 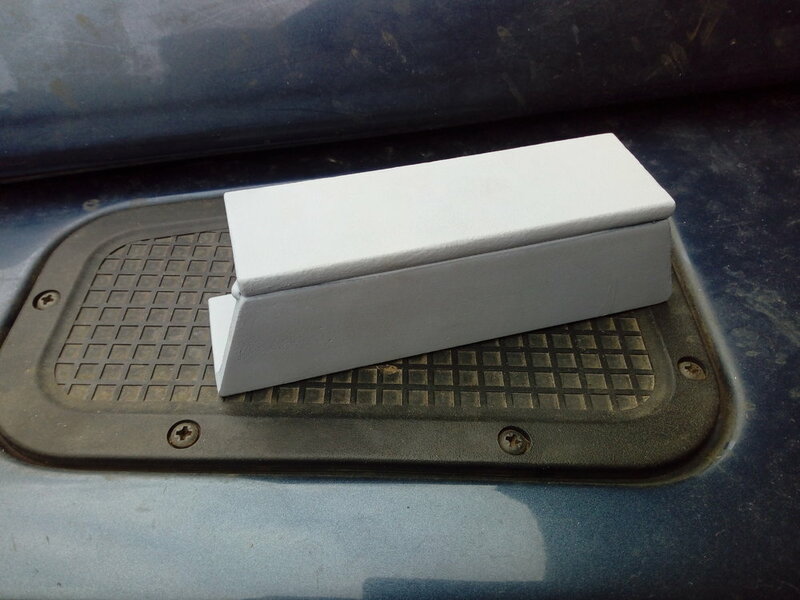 I will have to get the engineer's to fold the bottom as it is to heavy for my folder, then I will cut them to size. 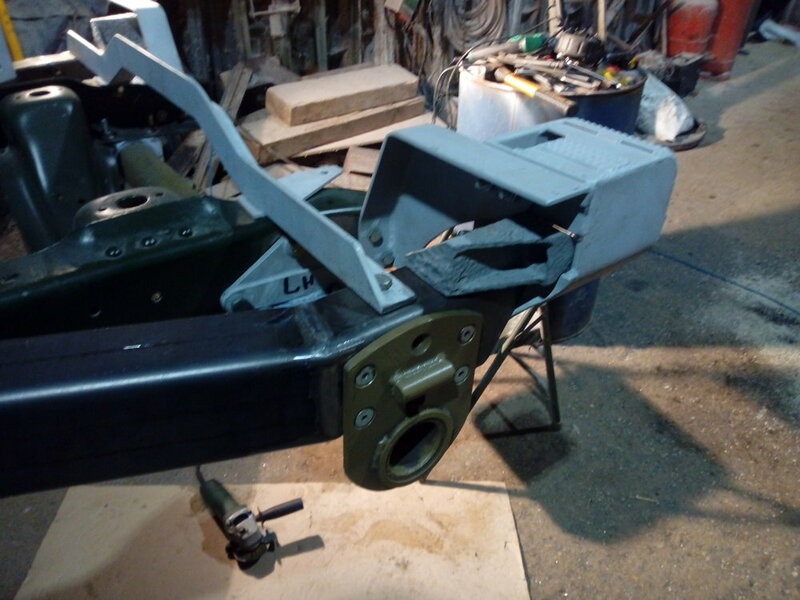 Sunday morning I unloaded the chassis and took the engine and gearbox out then set it in the shed on a pair of trestles, first job was to bolt the back axle on with the new castings. Well nothing would fit. After a lot of head scratching and measuring I worked out that all the holes were in the right place but the castings were too thick. 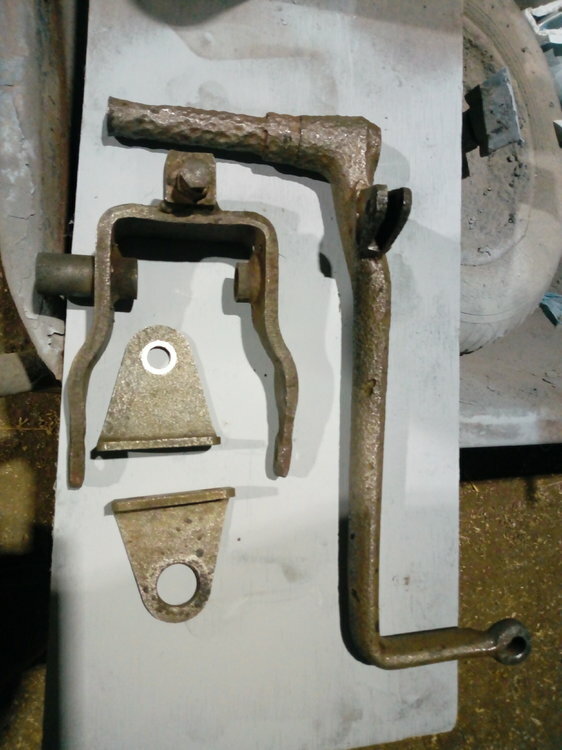 After measuring the original corroded castings I carefully ground the castings back with an angle grinder and then faced them by hand with a file. After several goes I have got everything fitted, centred and lined up to within 2 to 3mm and it only took most of Sunday and till dinner today! I also pop over to Alastair's and collect the second driver's floor Sunday afternoon. 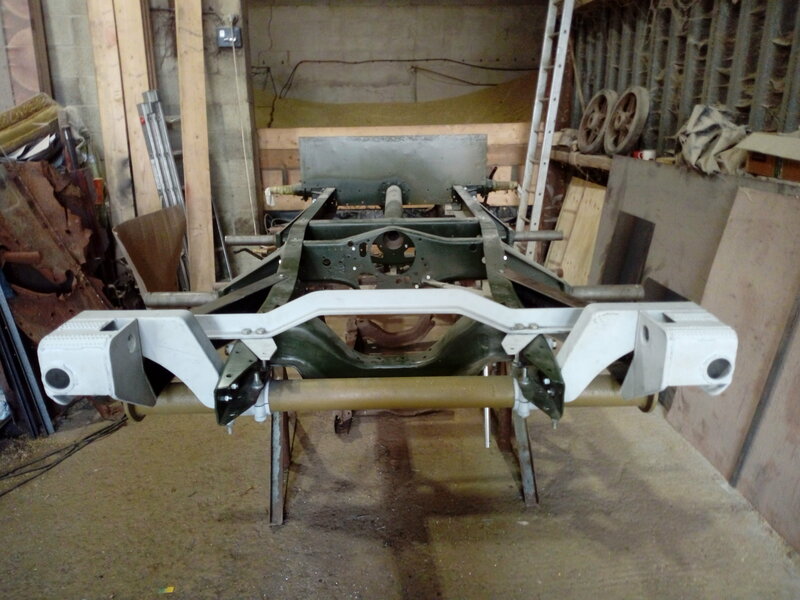 I now have to make the chassis out riggers that support the rear axle and work out where all the parts go that I have cleaned up. I think by Christmas we will be at a similar stage. There is no way I could have made the progress I have without Alastair's help. Talking with Alastair at the weekend I think were planning to do both body's together next year as we need body support frames and body panels fitting. 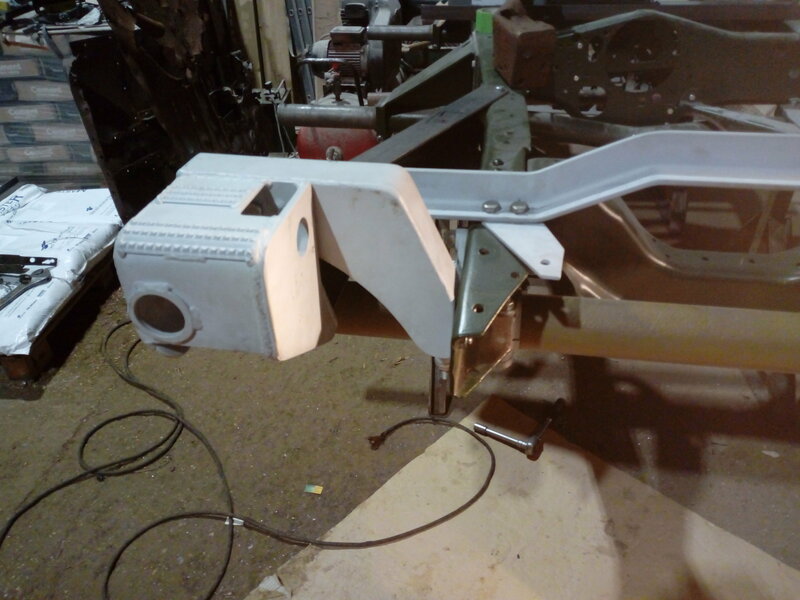 Those triangular..ish radiator brackets are supposed to have a couple of bends in to jog the rad height. I was looking at your Loyd on Sunday to see what they were and saw they should have 2 bends in them. The original plate I have came from you and was so bent up you couldn't tell that it was originally bent. 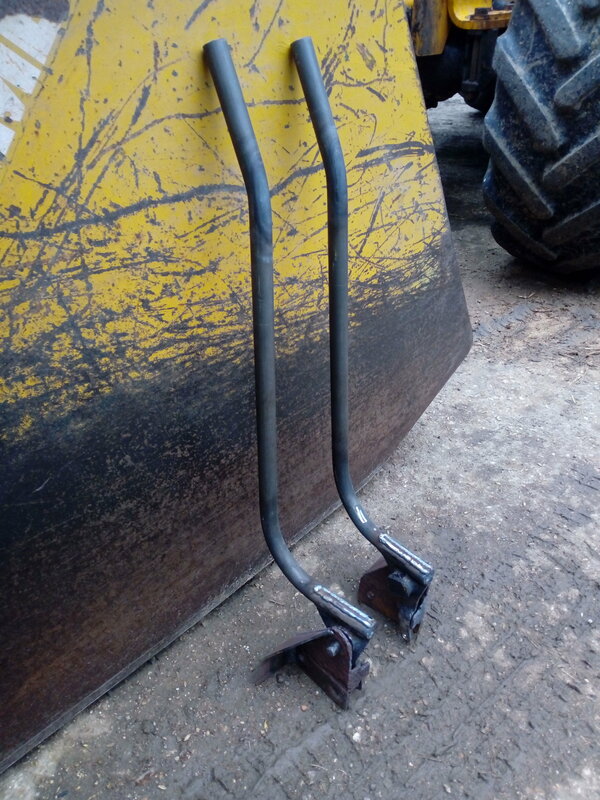 I am using them as spacers at the moment while I set the back end up but when the come off I will get them folded. 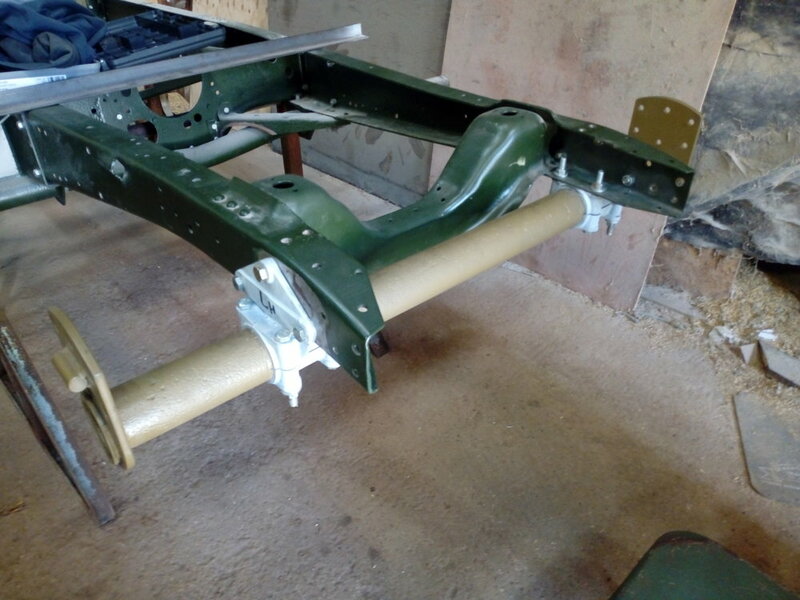 I have continued working on the chassis out riggers that support the rear axle and fitting the surrounding parts. The out riggers were fairly straight forward the hard part has been lining up all the parts as they all have to fit against each other. 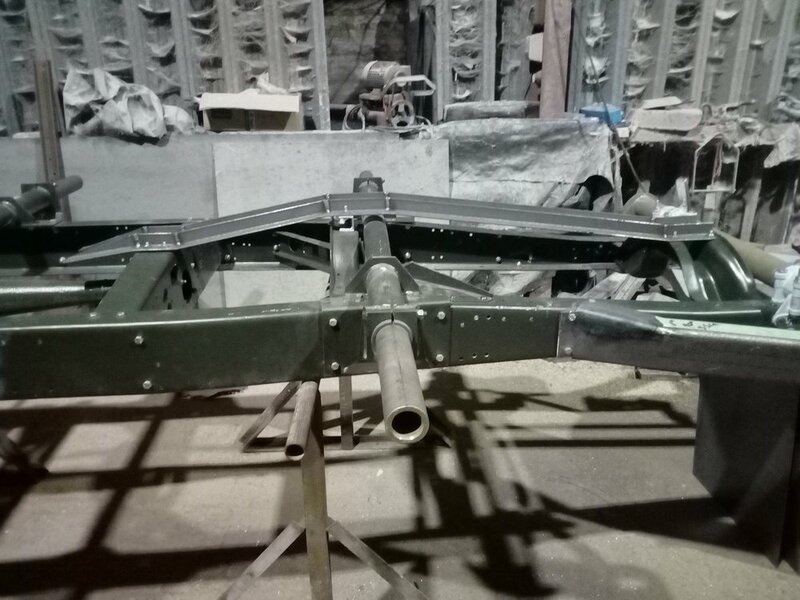 The left side is done apart from welding the end in the out rigger rail which I will do when I pull it down. The right side is a couple hours behind. It looked a fairly simple job but it has put up a fight. 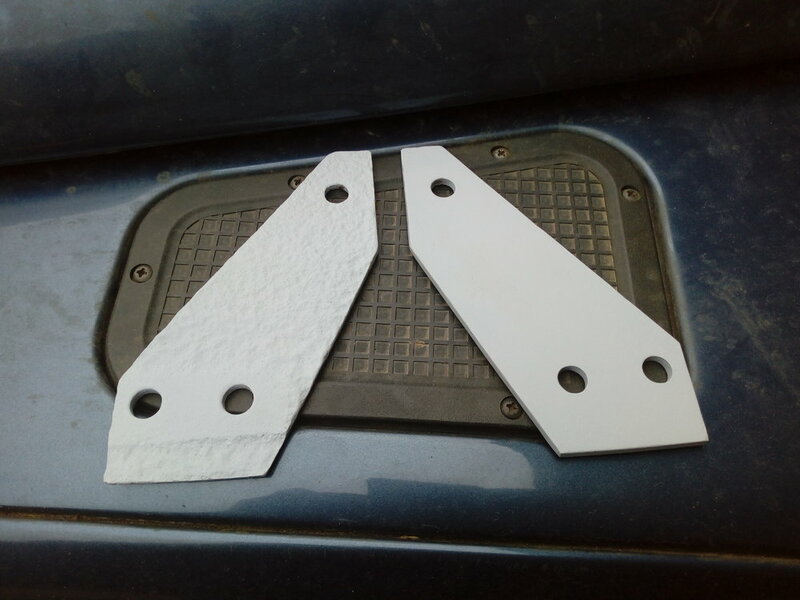 I have collected some 2mm plate to day ready for making the belly plates. When I went out this morning with a clear head and fresh eyes I wasn't happy with the alignment of the left hand step. So I decided to have another go at it. 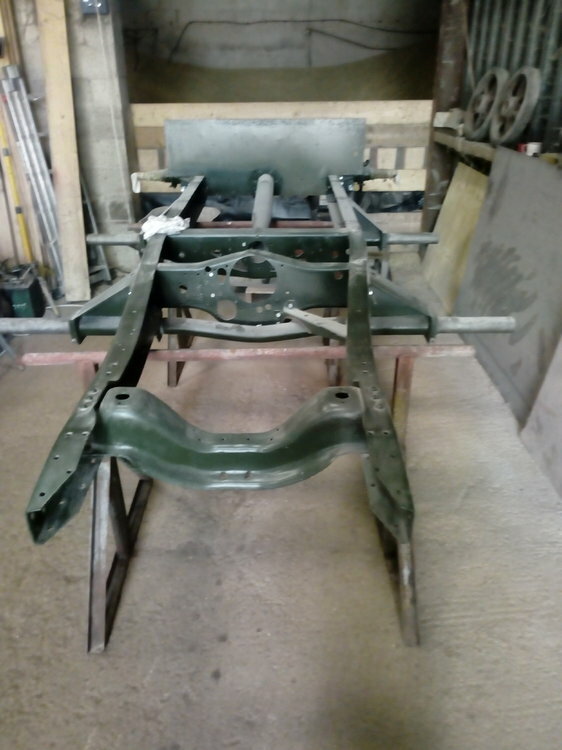 This involved welding up 2 holes and cutting the end plate out of the chassis out rigger which was only tacked in. 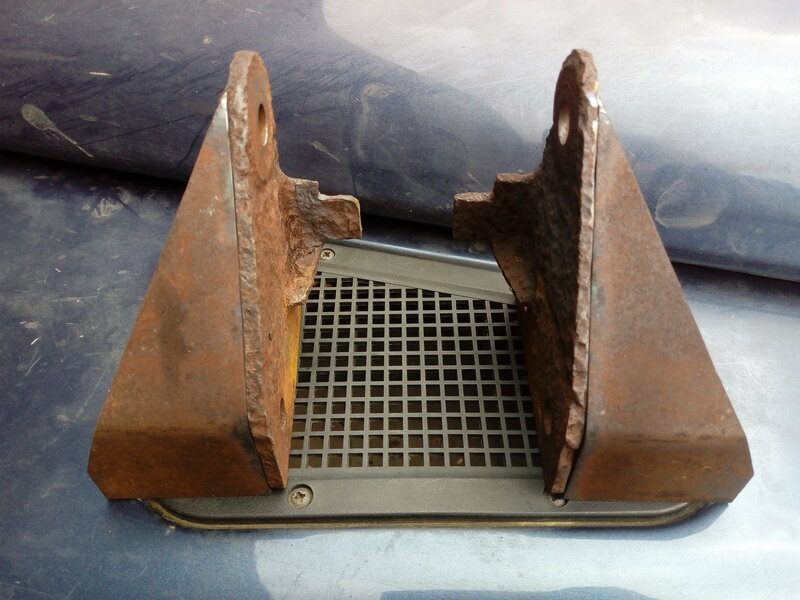 I then made a new end plate and repositioned the step and redrilled the holes and tack welded the end plate. This will be welded properly when I pull it down to paint. I then repeated this on the right side which was still to fit. 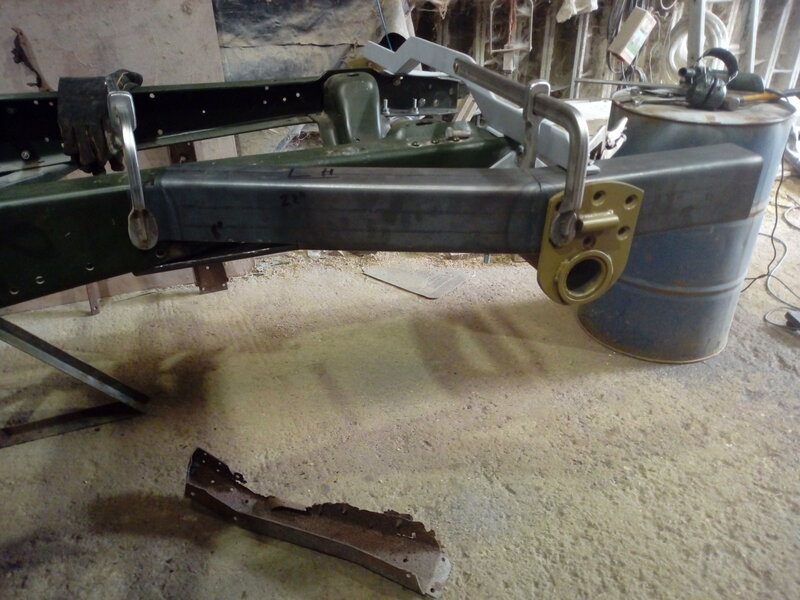 I then turned the chassis upside down to start the belly plates. First job is to drill and fit the spacer piece I had made already then make the 2 angle irons that run down the centre. I am using measurements off Alastair's Loyd and pictures in the manual but the most useful thing's are the pattern plates that Alastair lent me as you can work out acute measurements for the bends in the angle irons. 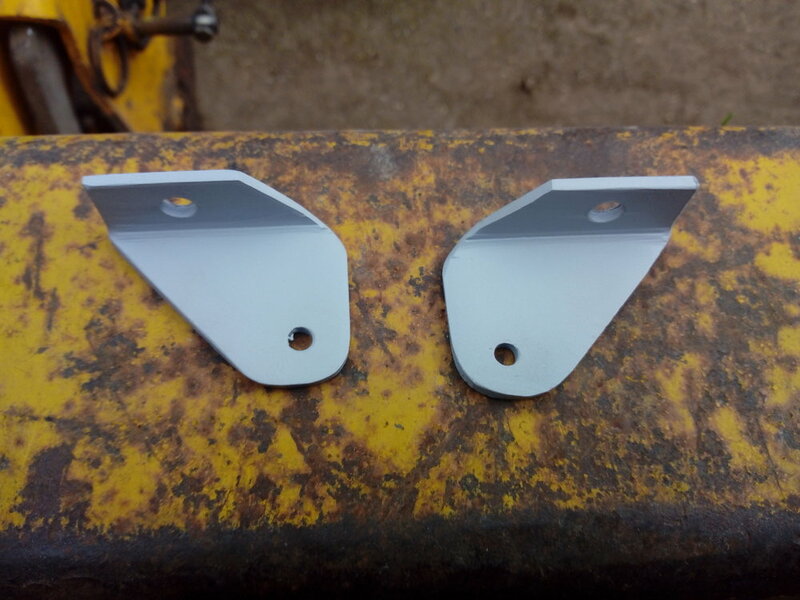 I have finished the angle irons for the belly plates today and have started working out the measurements and marking out the new plates. 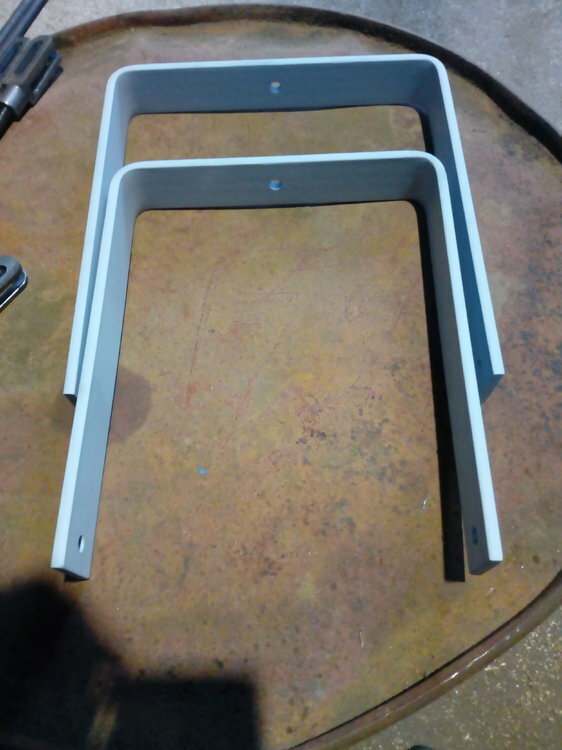 I collected a load of parts from the engineer's to day and got the bottom edge of the cable covers folded that I had pressed, these will now need cutting to size. There is a new tie bar for the rear axle. 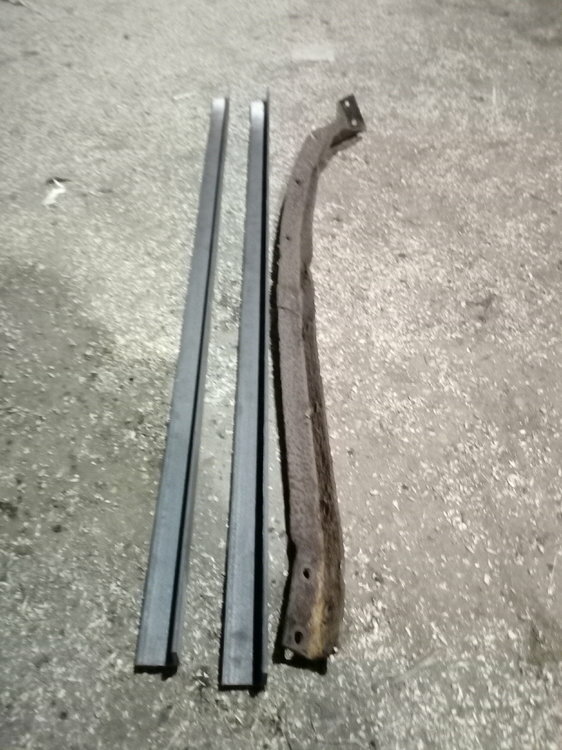 A pair of stiffening bars for the drivers floor, a new pin for the clutch linkage which is the same as the pin's in the brake bar's, I have had the threads for the locking studs taped out of the track adjuster rods and new locking studs made, I will weld new thread on to them and I have had the old bushes fitted to the new tube and a new pin made for the throttle peddle.